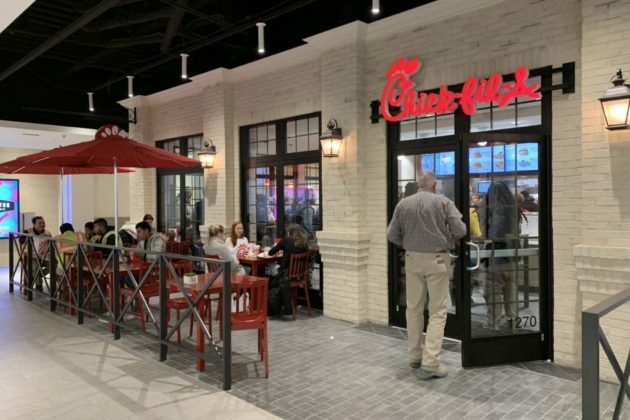 Starting today (Thursday), Chick-fil-A is back open in Ballston. The fast food restaurant is welcoming hungry diners once more as part of the new Ballston Quarter development. The new outpost of the chain is located at 671 N. Glebe Road, on the development’s ground level and accessible via both its Glebe and Wilson Blvd entrances. 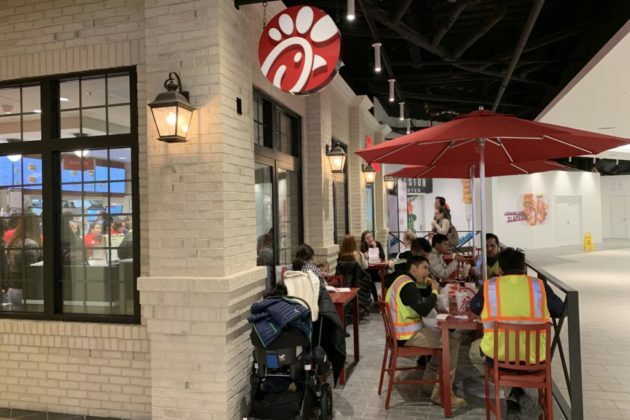 Chick-fil-A was long one of the most popular spots in the former Ballston Common mall, opening there more than 27 years ago, according to a press release. Unlike the old location, however, the new space has a 50-seat dining area as well. The restaurant also includes a designated pickup counter for mobile orders. Anyone swinging by the chain today can expect “a day of Chick–fil-A surprises,” the release said, including giveaways. 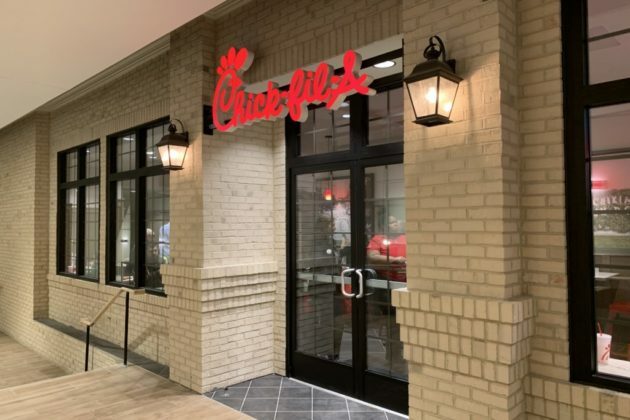 The restaurant will be open from 7 a.m. to 9 p.m. each day, except Sundays, and serve breakfast until 10 p.m.
Chick-fil-A joins Punch Bowl Social among the first eateries to open in the new development, with businesses slowly starting to open to customers over the course of the last month. Ballston Quarter’s full “food hall,” an upscale food court, isn’t set to open until February.